There are various services which you can purchase from USPS store or the post office at the time of mailing. Many services can be purchased at the time of mailing and many after the mailing. USPS Customers add the services with their orders according to the requirements or needs. As said before, there are various services offered by the U.S Postal Service, but in this article, we’ll only talk about Return Receipt. 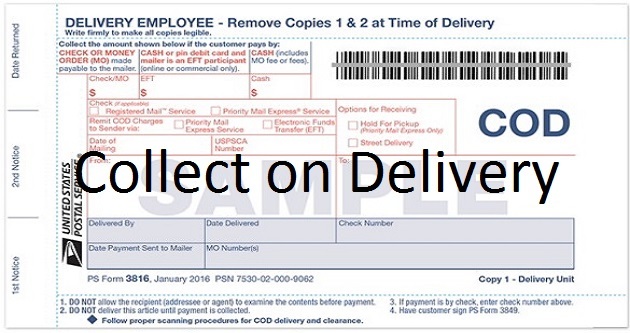 Do you know what is USPS Return Receipt, how it works, and how you can use this with your order? If no, then no need to worry. Let’s find out the answers to these questions and some others too. 1 What is USPS Return Receipt? 2 How Does Return Receipt Work? What is USPS Return Receipt? Customers can choose any one of these two methods at the time of mailing. If you choose the first option (by mail), then you will get the actual signature of the recipient on the receipt, and if you choose the second one (by e-mail), then the copy of the signature will be provided to you. Return Receipt is also known as “USPS Return Label” and “Green Card.” You can only purchase this receipt at the time of mailing. The postal service offers two types of receipts to customers, physical receipt and electronic receipt. It’s up to customers what they choose. After the purchase and successful delivery, you will get a physical or hard-copy of receipt (PS Form 3811) or electronic receipt by e-mail with the recipient’s signature. To use this service, you have to fill a form which can be obtained from the post office. The form can be easily filled out by hand. To know the return receipt cost CLICK HERE. Both, electronic and physical receipt’s cost are available there. To know more about the looks of domestic return receipt click HERE. 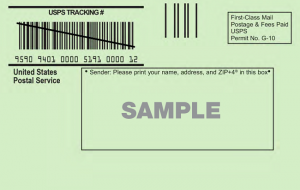 The physical receipt (PS Form 3811), seen above, includes a barcode with the tracking number. This tracking number won’t help you to track the mailpiece or item sent by the mailer, but it can provide tracking info on the physical receipt itself as it’s being mailed to the actual mailer. Visit this link to get tracking information. 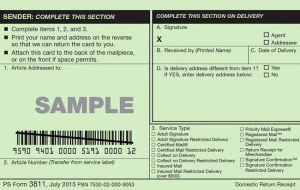 Note: A mailpiece or item with this service may be mailed from the office, home, or dropped in the collection box receptacle if the correct postage, fees, and form are affixed.